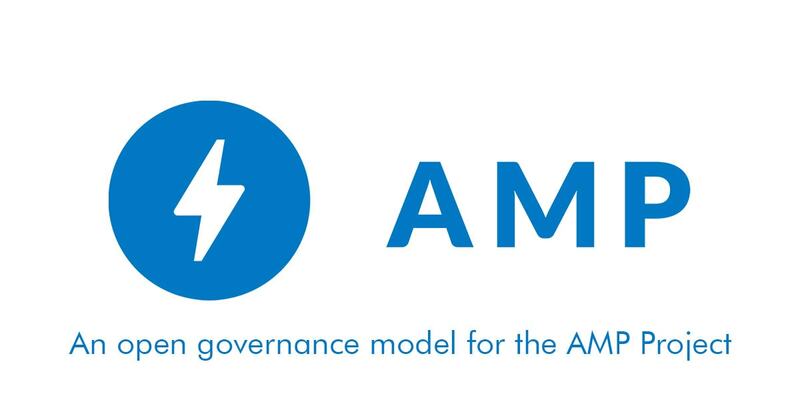 Just a few days after adding ads scenarios to AMP attracting a new wave of critiques, Google dropped the bomb and announced the transition to an open governance model. Until now, the code behind AMP Project was managed by a team lead by Malte Ubl, a genius disguised as a senior staff engineer at Google. From now on, the AMP Project will be handled by a technical steering committee comprised of companies, researchers and scholars. Google’s announcement should be a right step in addressing the integrity concerns that accompanied AMP since the beginning of the project. AMP was designed by Google to speed up the mobile web. Of course, a faster mobile web means more ad clicks and more revenue for Google. That’s why many considered that AMP is just an ad platform for Google, disguised as an open-source initiative for a better web. Some even consider AMP as the ultimate tool in forcing everyone to adhere to a set of standards decided within Google. Let’s admit, there are some merits to this claims since AMP listings are frequently on top of search results. Further, considering that AMP works best when cached on Google servers, many analysts and developers voiced concerns that the Accelerated Mobile Pages Project is just another step in getting everyone in the Google bandwagon. Of course, the Accelerated Mobile Pages Project indeed improved the speed of the mobile web, eradicated rogue ad networks, improved latencies and more, but all the positive aspects aren’t enough to justify any closed ecosystem. How Will the New Model Work? The new body will consist of a Technical Steering Committee, an Advisory Committee and Working Groups. Some of the actors associated with the new governance model are big tech and media giants like The Washington Post, AliExpress, eBay, Cloudflare and Automattic. Other prominent names are Léonie Watson of The Paciello Group, Nicole Sullivan of Chrome and Terence Eden of UK’s Government Digital Service. Google also hinted that, in the foreseeable future, the project could move under the auspices of foundations like the Apache Software Foundation or the Mozilla Foundation. The Technical Steering Committee, which will include representatives from companies that have committed resources into AMP, will be responsible for the decision making process. To ensure integrity, no contributor will be allowed to control more than a third of the seats. The Advisory Committee represented by AMP’s constituencies will advise the TSC on matters related to the decision making process. Working Groups will be established over specific AMP modules, and will function in concordance with strict and transparent guidelines and processes. Some of the aspects the Working Groups will manage are UI, infrastructure, documentation, etc. Google is aware that a new governance model is not enough to guarantee that project will remain relevant. Recent studies suggest that only one out of three publishers see a favorable traffic boost from AMP. While Google considers that the reason behind this unfavorable ratio is poor implementation of AMP, a recent A/B test run by The Daily Beast underlines other fundamental problems with AMP. The problem is that the Accelerated Mobile Pages is far from being a universal solution. Sites are different and Google failed to acknowledge that. That’s why Google is pushing AMP technologies into web standards, separated from AMP itself. While it suffered a setback with Web Package, Google hopes that some of the project’s principles will find their way into the web of tomorrow. And this could be the real alternative to AMP. A recognized standard, based on inputs from relevant stakeholders and fueled by non-proprietary technologies. A universal accepted solution. Just like HTML. While I hope that the new governance model will democratize the project, the alternative the web standards route could prove to be more sustainable than AMP. However, in both scenarios, it’s important that the decisions that determine the future of the web, won’t be decided by a single company. A few years ago, when I was involved with a state-sponsored judicial reform platform, we had a saying: “If you want to stall a project, ruin an idea or make enemies, establish a committee.” It shouldn’t be the case, considering the amplitude of the proposed governance model. Anyway, if you believe you have something to say, Google encourages anyone to voice their opinions at this year’s AMP Contributor Summit. Let the debate begin.